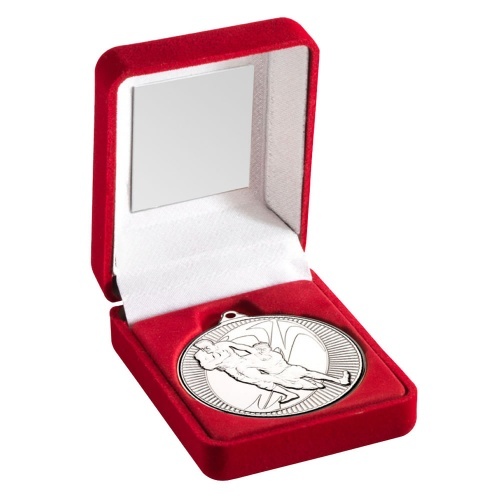 A quality rugby medal with silver plated finish, 50mm in diameter and featuring a two player rugby scene on the front. These rugby medals include a ribbon loop and are blank on the reverse, perfect for engraving. They are supplied complete with a red deluxe presentation case.